A lot of great art being produced by Russell Irwin ... he has offerred his art for use by S&J and for fundraisers. Also, Rip Kastaris's new piece has been selected to be the featured art at 2 future events. More to come. We have partnered with Rip Kastaris is a new piece of artwork titled "Echoes of St. Louis". This image is a memorial to JacK Buck and toBusch Stadium in witch he announce the ballgame. This image will also be used to bring awarenes to selected local charities and in fundraising. We are excited about this unique piece by Rip. This image will appear on our site soon. Please take a moment to see Rip's art on our website. Limited quantites will be available for purchase in 2 formats ... small litho and large giclees. Contact us for more infomation. We have added Russel Irwin to our website. Russell will be working with us in developing various artwork that will be used to bring recognition and awareness to different local organizations. Take a moment and see the first part of images added to the website. More to be added in the near future. We are excited about Russell's art and unique style and his willingnes to use his art for our effort in working with various local charities. Limited quanties will be avaiable for sale on select pieces. Please contact us for more information. We have been asked to include another artist to be part of our network. We are discussing what the project should be. More to come. Steve is a fantastic photographer and we are pleased to have him on our website. 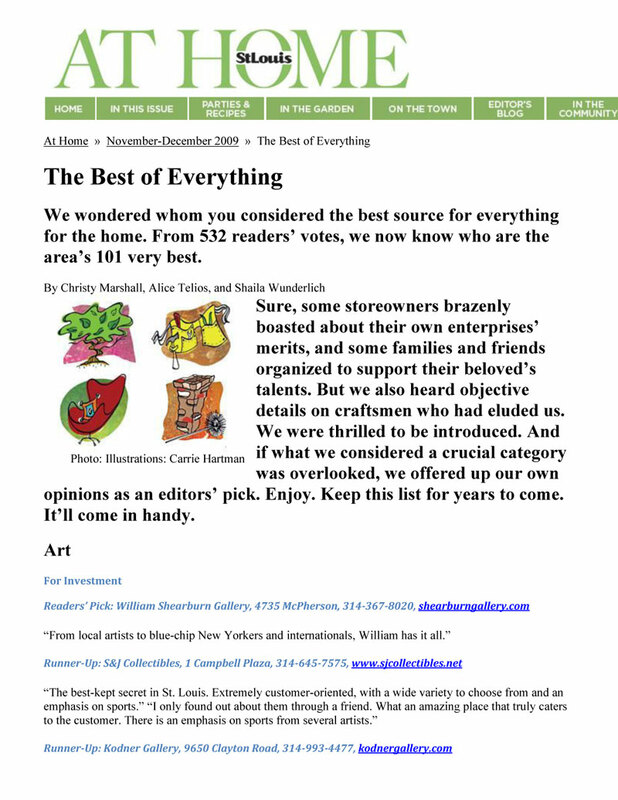 Check out the "What's New" section of the home page and see his other works. 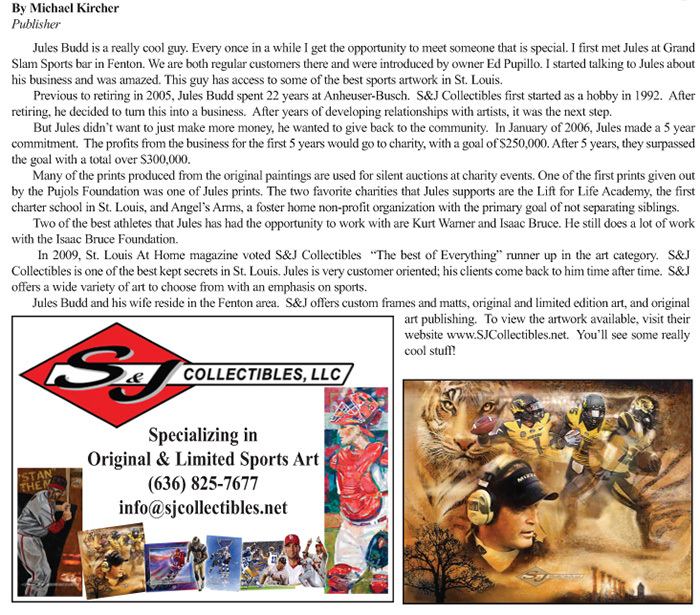 Site and all images copyright © 2008 S&J Collectibles, LLC. All rights reserved.